Why was a Steel Sculpture Re-Coated Onsite? Another unusual project for us following the spraying of a London Bus. This time we were asked to electrostatically spray a steel sculpture on site in a warehouse in Enfield. This is the story of the steel sculpture re-coated onsite. 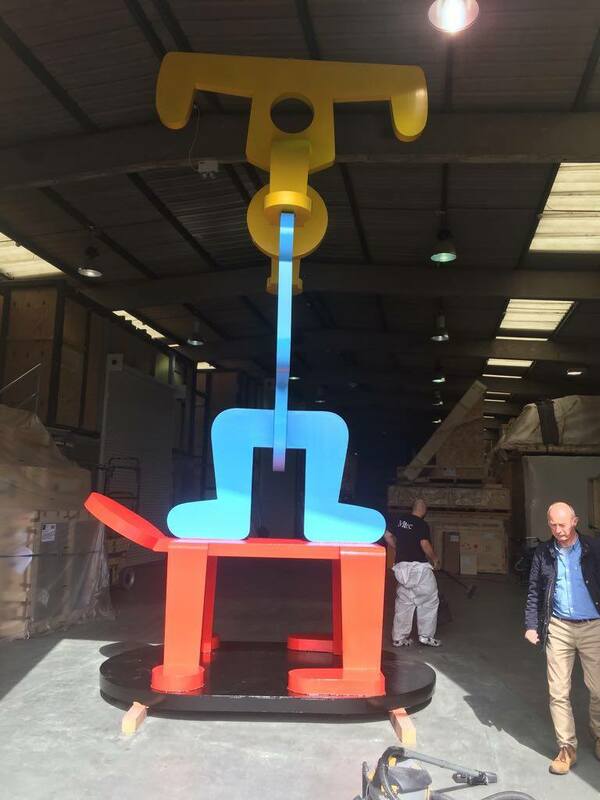 The sculpture was being shipped and put on show in Hawaii, unfortunately for our team they had to recoat it at a warehouse in the UK. Due to the location and transportation of the sculpture, we advised that the paint would have to be a durable tough coating to withstand the moving process and weather conditions. The steel sculpture piece shows three people supporting each other in gymnastic poses effectively showing a human tower. 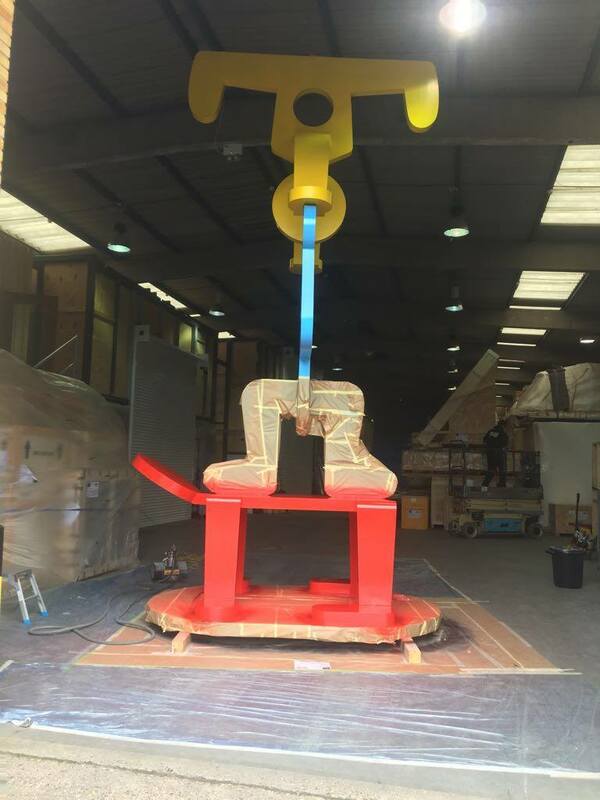 The sculpture required four different colours so would have to be sprayed in sections and cross masked to enable the required finish. The Sculpture is colourful piece and large, the photos may not do it justice but a cherry picker was required to re-coat it. The piece was blasted and coated in an epoxy zinc phosphate primer, then a hard-wearing two-part epoxy primer followed by coats of topcoat. For this project, we were approached by a highly respected company who specialise in sculpture restoration. They work closely with the National Trust and English Heritage and have worked for the Royal Household on many occasions. If you have an unusual project that you require re-coated, please do not hesitate to contact us for information and advice.